Since there are many different languages spoken on this planet, we know most words must be translated. However, there is one word that needs no translation because it has the same meaning in most languages. What is that word? Hint one: it is the very last word in the Bible. Hint two: It is the word we use at the end of our prayers. The word is "Amen." Amen. What does this word mean? It means, "so be it," or "may it be so." 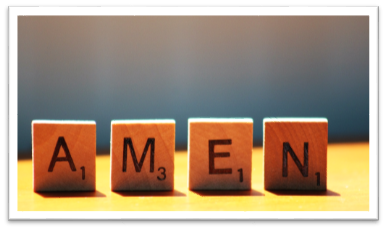 We hear and use the word "Amen" so often that we don't realize the power this word carries. Let's start by looking at an example of "Amen" being used in the scriptures. Psalm 106:48, "Blessed be the Lord God of Israel from everlasting to everlasting: and let all the people say, Amen." In this scripture the people are all agreeing to give great praise to the Lord God of Israel. "Amen—so be it." The power of the word Amen has two parts. The first part is: we are in agreement with what has just been said. The second part explains why we pray to our Heavenly Father. It means we absolutely acknowledge God's authority, wisdom and power over all the events in our lives. That is why at the end of Psalm 106:48 when the people said "Amen," they were also acknowledging God's authority, wisdom and power. But it must go beyond that. The most important human that ever lived did not just believe in God's authority, wisdom and power—he put his absolute trust in his Heavenly Father. Did Jesus have 99% trust? No. The word "faithful" means "full of faith." If there is a glass of water that is 99% full, is it full? No. It has to be 100% full. And our trust in God must also be 100%, so that when we say "Amen—so be it," we are trusting God 100%. No matter what happens to us or what happens around us, we are in complete, 100% submission to His will. After all, do we want our will to be done, or God's will? Of course, the correct answer is we should only want God's will to be done. However, getting to that point in our lives where we want only God's will to be done requires that we recognize both God's superiority and our limitations. Does our Heavenly Father ever get tired? No. Does He ever make mistakes? No. But we know our wisdom is very limited. That is why when we pray for things, we should always ask the Lord to overrule based on His wisdom. "Amen—so be it." And what does the word "overrule" mean for us? It means we may "want" something, or "think" we need something, but we admit that God knows best what we need; therefore, we ask God for His will to be done in our life—not our own will. And when His will is done, our response should be, "Amen—so be it." 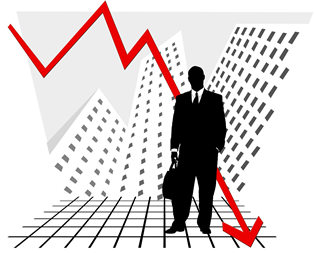 For example, if a man is having financial difficulties, what is the best solution to his problem? Is it for a big bag of money to fall from the sky? Maybe it is, maybe it is not. Having a big bag of money would solve h is problems temporarily, but maybe it would cause even bigger problems for him tomorrow. Perhaps a better situation would be if the man found a stable job. But who really knows what is best for us? Only the Lord knows. "Amen—so be it." The Lord created everything that exists. He knows the beginning from the end. There is nothing He does not know, and there is nothing great that He cannot do. Since we understand from Isaiah 46:9,10 that God is all-knowing, and all powerful, then why is it sometimes so difficult to accept God's will? If His will is that we get something that feels good, then it is easy to accept His will. But if His will is that we experience something painful, then it can be very difficult to accept His will. If we struggle with accepting painful experiences, does that mean we are unrighteous and displeasing to our Heavenly Father? No, it just means we are human. After all, did Jesus want to go through the painful experience of crucifixion? The answer is both no and yes. Jesus prayed to His Father in Matthew 26:39 that if possible, let this cup pass from him. This tells us he was dreading the pain that was coming. But he also knew this was his Father's will and therefore wanted it to be done. And that is why Jesus said, "not my will, but Your will be done." And that is also why Jesus wanted to go through this experience. He knew he was being made perfect for the office of sympathetic High Priest by all of the things in which he suffered. As it is written of him in Psalm 40:8, he delights to do His Father's will. By accepting that he would have to go through this experience, Jesus was saying, "Amen—so be it." It is important to realize Jesus did not try to give his Heavenly Father an alternate strategy. He did not say, "I have a better idea. Rather than have me crucified, let me die in my sleep, peacefully. That way I am still paying the price for Adam, but without all the pain." Although Jesus did not suggest that, why might someone in that position possibly think that way? Because they would be short-sighted—not seeing the big picture! Who sees the big picture all of the time? Our Heavenly Father. And He knew that having His Son die on the cross was a crucial part of His perfect plan for the redemption of mankind and an example for angels. Why was Jesus able to have that kind of clarity of mind and that faithfulness? Because he knew his Father. He knew his Father's wisdom was the highest. He knew his Father had a plan that was perfect. And part of that plan involved His son, Jesus, who was made the merciful, sympathetic high priest. But in order to be that sympathetic high priest, he had to go through some very painful experiences. And that is how he was made "perfect"—by the things he suffered, even though he was already a perfect "human." "Not my will but Thy will be done." When it is difficult for us to accept the Father's will, it is typically because of two things. Number 1: as we said, the flesh does not like pain and wants to avoid it. Number 2: we are short-sighted and do not look far enough into the future. Being short-sighted is not our fault. 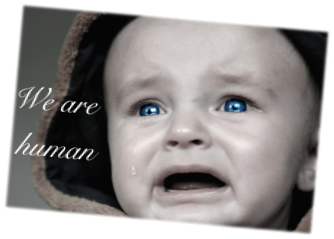 After all, we are human. Who sees the absolute big picture? Our Heavenly Father. Who sees the little picture? We do. Here is an example of looking at the little picture versus the big picture. 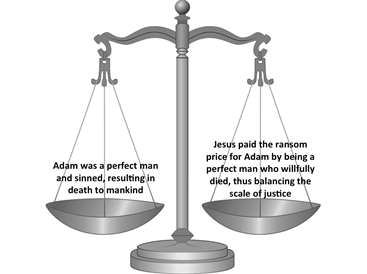 What would be the result of Adam's disobedience? 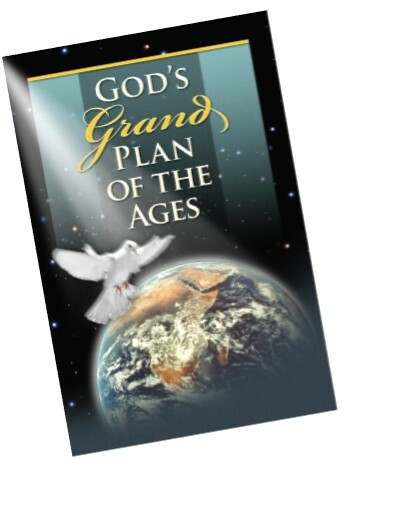 Well, what is God's ultimate plan for his human creation? His ultimate plan is that they would live in perfect harmony with Him. As it says in Revelation 21:4, they would never again be sick, nor suffer pain, nor death. And we do know that day is coming. 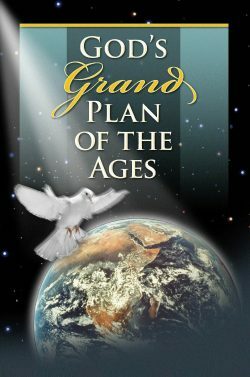 He has another part of the plan, and even though it involves a small number of humans, it is a major part of His plan. Additionally, despite the small number of humans involved, a major part of His plan is to create a small divine family made up of His son and 144,000 beings that start out as sinful humans. Did God want Adam to disobey? 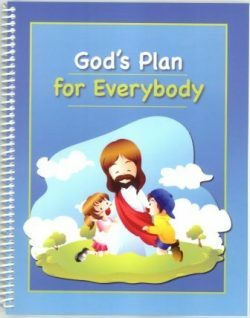 Was that a requirement for the fulfillment of His ultimate plan? That is an interesting question, and the answer seems to be—yes. According to the Scriptures, we know "the Lamb was slain from the foundation of the world" (Revelation 13:8). This means God certainly knew Adam was going to disobey and had a plan set in place. 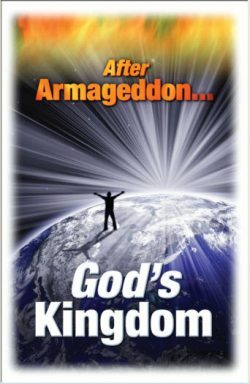 Could God have overruled Satan's deception and prevented it? Absolutely. He knew Satan had pride in his heart. He knew Eve would be deceived. He knew she would offer Adam the fruit. And He knew Adam would eat it. 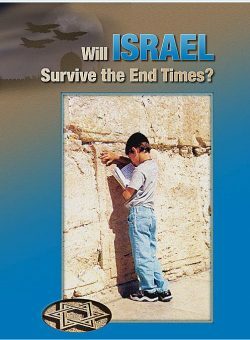 After all, God knows the beginning from the end, and He planned for Jesus to be the ransom sacrifice for Adam's sin, even before the first human was created. Why did God not prevent that from happening? Because God sees the big picture! He knew that in order for mankind to know good and evil, they would have to experience good and evil and go through the pain and suffering now, and then later on they would learn from these mistakes, from these experiences, and they would never disobey again. They would live in eternity as perfect humans in God's Kingdom here on earth. Would their suffering during this short life be worth a life of love, harmony and pleasure for all of eternity? Would it be worth it to you? Absolutely. And because we know this, we can confidently say, "Amen—so be it." If we know part of God's plan was that Adam and Eve disobey and that His son be offered to take the place for Adam's sin, what does He want for those running for the prize of the high calling—those 144,000 beings who will make up the Divine family mentioned previously? Does He want them to be disobedient like Adam? Or does He want them to be obedient like His son? The answer is both! Yes, ultimately the Lord wants us to be obedient. But He also wants and allows us to have experiences where we fail. We often learn best through our mistakes, if we properly reflect on them, of course. If this were not true God would have just given Adam and Eve a vision of what might happen if they disobeyed, versus letting them actually go through the experience. However, our Heavenly Father does not hold our mistakes against us if we ask for forgiveness—instead He uses them to teach us and to ultimately bring us closer to Him. After all, what was the purpose of the Old Law given to Moses? The Apostle Paul tells us that the Law accomplished two important things: First, the Law taught Paul that he was a sinner (Romans 7:7). Second: because no imperfect human could keep the Law, it is considered a "schoolmaster" that leads us to Christ (Galatians 3:24). And that is exactly what our mistakes can do if we allow ourselves to learn from them—they lead us closer to Christ. What do we call these types of experiences that lead to either success or failure? Here's a hint—Jesus had three of them at the beginning of His walk. Temptations! When it comes to being tempted, God certainly allows us to experience temptations. Could He prevent some of our experiences? Absolutely! Just like with Adam, He could have prevented Adam from eating the forbidden fruit, but in His wisdom He knew it was best that Adam fail. 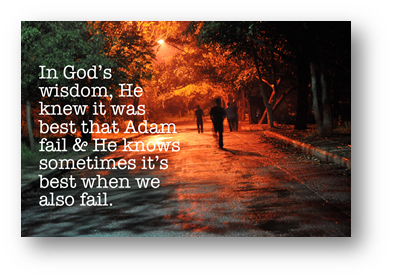 And He knows sometimes it is also best when we fail. 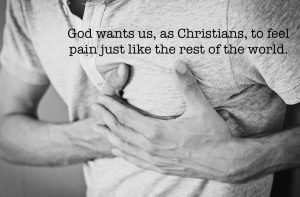 The question is: can we accept the pain and suffering which the Lord has decided that we need? Can we say, "Amen—so be it"? That word is so powerful because when we say it, we are reminded that the Lord is in control, He is with us and He wants us to have these particular experiences. When we suffer for righteousness' sake, our attitude must be one of submission to His will. It must be "Amen—so be it." 1 Peter 4:12 reads, "Beloved, think it not strange concerning the fiery trials which are to try you, as though some strange thing was happening to you." What should our attitude be during these trials? Amen—so be it. God's will is that He wants all His children to live forever in harmony with Him in love, perfection and happiness. But His will is also that everyone has experiences necessary to get to that point—which means His will is to permit evil for a short period of time so that everyone can learn a lesson. 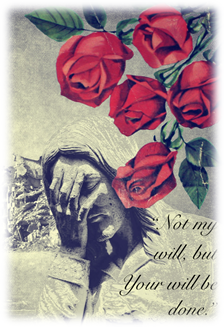 His will is also that we as Christians feel the pain—physical and mental pain—that the rest of the world feels. One experience fellow Christians go through usually begins peacefully, but often becomes extremely painful, and can even lead to murder of one another's character. And that experience is disagreement between us. Is it God's will that true Christians disagree? The answer is yes. 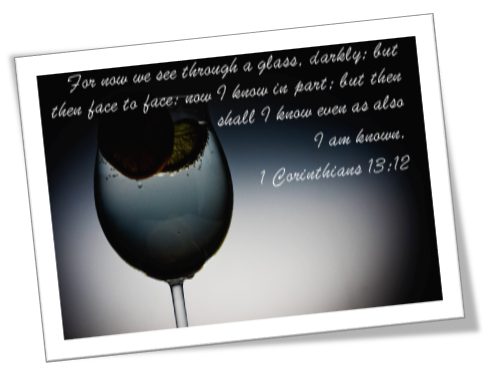 1 Corinthians 13:12 tells us that we see though a glass darkly. Does our Heavenly Father intentionally hold back information from us right now? Yes. Is it because we are imperfect humans? Not necessarily. The Lord wants us to search and study the scriptures with the goal of coming to as clear an understanding as possible. He also wants to see how we treat one another who may disagree with us—are we stubborn and rash? Do we think less of those who disagree with us? Or are we open-minded and willing to listen to another side of an argument? Do we respect our brethren even when they disagree with us and still treat them with dignity? Our goal should be the latter. Although we have a wonderful understanding of God's basic plans and purposes, we still see through the glass darkly. When will we have perfect understanding? Paul tells us (1 Cor. 13:12) that only when we see the Lord face-to-face will we have perfect knowledge. Not now while we are imperfect humans—but only after we are resurrected as divine beings. 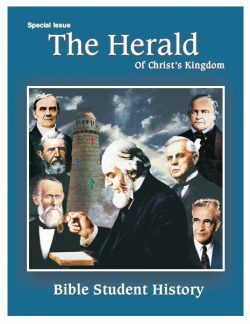 Let us look at a subject that started 2,000 years ago and caused major disagreements among fellow Christians. We know that Jesus is the Lamb of God (John 1:29). We know he fulfilled the Law (Matt. 5:17). 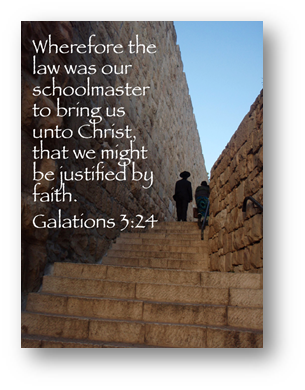 We know the Law was a schoolmaster to lead Israel to Christ (Gal. 3:24). So at the point we are considering, there was no longer a need for the Old Law, which required animal sacrifices. After all, we know by Hebrews 10:4 that the animal sacrifices could not take away sin. Only through faith in Jesus can someone gain eternal life. We understand that now, but when the Apostle Paul explained to the Gentile brethren, the Jewish brethren and the Apostle James that it was no longer necessary for the disciples of Christ to keep the Law, there was a significant amount of disagreement. Why was this so? Israel's tradition of keeping the Law had been observed by generation after generation for about 1,600 years. Didn't God know that once habits are established, it is hard to break them? Of course! Didn't God know having Paul preach this would cause the brethren to argue over whether or not they were supposed to keep the Law? Of course! Didn't God know that these arguments would even lead to persecution, and in some cases death? Absolutely. Could He have prevented that? Of course! Then why would He allow it? We learn to love our enemies, learn mercy, forgiveness, patience and trust in the Lord by having difficult experiences with our brethren. 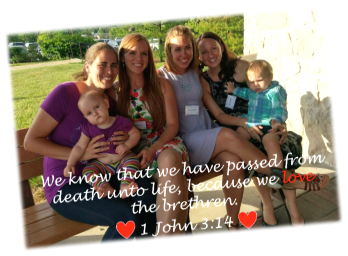 1 John 3:14 tells us that we pass from death unto life when we love our brethren. If some agree and some disagree, how do we know who really are our brethren in Christ? More importantly, how do WE know if we are considered a brother or sister in Christ? First, have you been called by God—which means when you heard the plan of God, did it make sense to you and excite you? Second, did you then dedicate your life to following in the footsteps of Jesus to do the will of God? And finally, do you see signs that God's Holy Spirit is working in you, developing you to be like His son? Are you doing service for the Lord, for the Gospel message and for your brethren? Are you trying to change your character to be more Christ-like, more caring and forgiving? 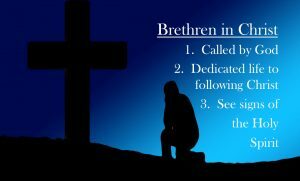 If you can answer "yes" to these, then you can rest assured that you are a brother or sister in Christ. So you see, it is not up to us to judge who is a "true" Christian and to serve those only, but our responsibility is to "do good unto all, especially the household of faith" (Gal. 6:10). That includes those who disagree with us! We should follow Jesus' example and treat those who disagree with us with patience, gentleness, kindness and love. 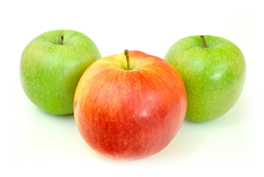 If God's Holy Spirit is working in us, we will produce "fruit" as described by Galatians 5:22,23 that others can see. 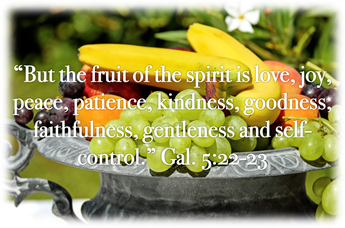 "But the fruit of the spirit is love, joy, peace, patience, kindness, goodness, faithfulness, gentleness and self-control." There is also something that will happen to us that others may not see. It is crucial to developing even more fruit, even though it can cause some of the most painful experiences in our lives that are dedicated to the Lord. That is pruning. Pruning does not feel good, and yet we know it is God's will. "Amen—so be it." It is during our most difficult life experiences that, even though we know God is with us, it is hard to accept His will. It is hard to say, "Amen—so be it." Our normal reaction during a difficult experience might be to ask the Lord to remove us from that situation or to change the situation. But instead of asking the Lord to change our situation, we should ask the Lord to change our attitude. Our difficult experiences are designed to help us and to change us. We are the clay, God is the Potter. We can change our attitude during a difficult experience by recognizing who we are and then calling upon the power of the word "Amen." If we are in a situation where we are afraid and do not know what do to, we should remember Matthew 10:30-31, which says even the hairs of our heads are numbered, therefore, we are not to fear because we are more valuable than many sparrows! When we know God is absolutely with us and has the big picture of our lives in mind, we can say "Amen—so be it." If we are still struggling to say "Amen" in the face of difficult circumstances, it may help to say "Thank you." When we say "Amen," we are recognizing God's wisdom, authority and power. When we say "thank you" we are recognizing His love for us, shown by giving us these experiences as gifts. That is why 1 Thessalonians 5:18 reads, "In everything give thanks, for this is God's will for you in Christ Jesus." Yes, even being pruned is a gift. 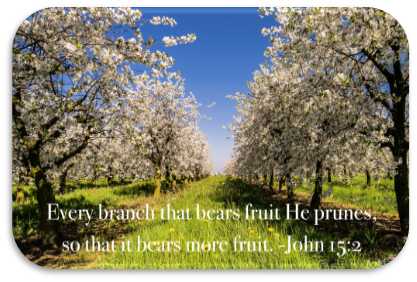 John 15:2 reads, "Every branch that bears fruit He prunes, so that it bears more fruit." Our reward, our gift, for producing fruit is that we are pruned, so that we can produce even more fruit. We recognize God's superiority and wisdom in all the experiences of our lives. We thank Him for all the gifts and the experiences He gives us, both pleasant and unpleasant. We learn that our reaction to all of our difficult experiences must be submission. With that, we end with a faithful and humble "Amen."